Get ready to explore authentic Cantonese cuisine of the undiscovered "New Chinatown" in San Gabriel Valley where the locals go. You'll get an introduction to the tastiest restaurants in the area, from a crash course on Dim Sum to delicious Cantonese barbecue and fresh treats from a world-famous Cantonese bakery. Guests will be led on a route of about 5-6 eateries on roughly 3 walking blocks. The tour lasts about 4.5 hours. Enjoy over 10 unique tastings that may include Taiwanese beef roll and tea-infused chicken leg (Happy Kitchen), roasted duck and noodles (Sam Woo BBQ), assorted dim sum (Five Star Seafood), traditional breads (Kee Wah Bakery), and Taiwanese lychee shaved ice (Black Ball). $75 ticket** includes all food tastings and guided walking tour. The amount of tastings on the tour is equivalent to a full meal. 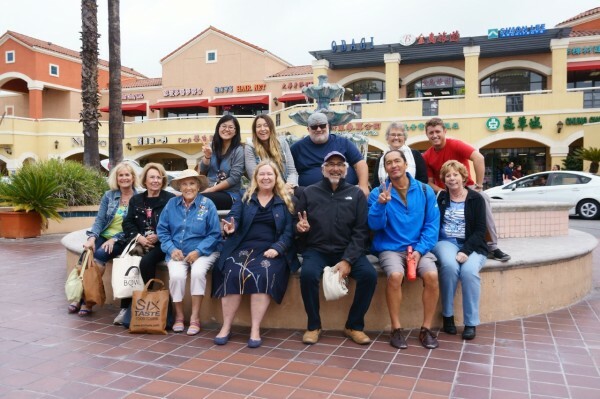 Tours meet in the main courtyard in the middle of the San Gabriel Square/Focus Plaza, near the large fountain across from Daiso Japan (140 W Valley Blvd., San Gabriel 91776). The tour guide can be identified by the canvas bags with 'Six Taste' on the sides that he or she will be carrying. Unfortunately, this tour cannot accommodate any dietary restrictions or allergies due to the family-style arrangement. We do our best to accommodate any special needs or considerations including wheelchairs, strollers, babies or young children. Advance purchase required. Same-day add-ons or changes will incur an additional fee of $25 per person.